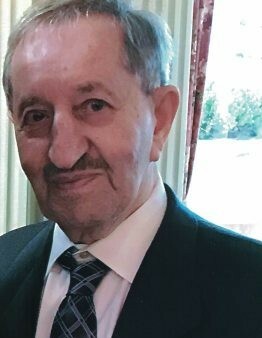 Gabriel D'Uva, 81 of Caldwell passed away on April 11, 2019. A Funeral Mass will be celebrated at St. Aloysius Church, 219 Bloomfield Ave. Caldwell on Tuesday at 10:30 AM. Entombment will follow at Gate of Heaven Cemetery. Arrangements are in the care of the Galante Funeral Home, 54 Roseland Ave. Caldwell. Born in Guasto, Campobasso, Italy to the late Benedetto and Antoinette (nee Cifelli) D'Uva, Gabe was also the step-son of the late Finizia (nee Vacca) D'Uva. He lived in Newark and Belleville before moving to Caldwell 50 years ago. Gabriel was a dear husband, father and grandfather for the past 59 years. Gabriel was employed with Village Supermarkets/Shop-Rite, and was an active member of the West Essex UNICO, serving as a past-president, and past Man of the Year. Gabe's greatest achievement was his family, and was the devoted husband of over 59 years to the love of his life, Mary (nee Sia) D'Uva; loving father of Antoinette D'Uva and Theresa D'Uva-Mazzella, and beloved grandfather of Daniela Mazzella. He is also survived by his brothers Anthony, Bruno and Luciano D'Uva, along with his sisters-in-laws and many nieces and nephews. He was predeceased by his brother Salvatore D'Uva. Alzheimer’s New Jersey Attn: Development Dept.